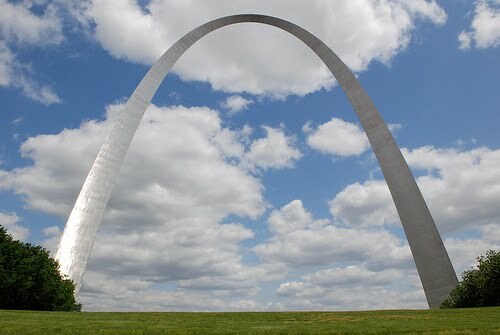 The St. Louis Arch is also called the Gateway to the West. You can take a ride up to the top in a funky little elevator which like in Douglas Adams moves both up and down and sideways. Conclusion: The St. Louis Arch weighs more than me. This entry was posted in Uncategorized on January 4, 2010 by fatchicksings.